90 years since his birth on this day and almost 25 years since his passing into immortality; the shadow of Miles Dewey Davis still looms large on the cultural horizon. 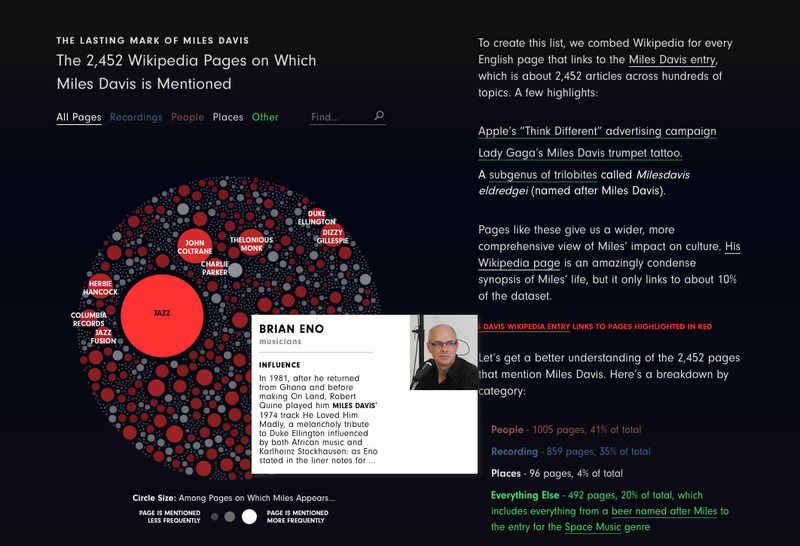 Polygraph’s The Universe of Miles Davis quantifies the jazz avatar’s wide ranging influence through his 2,452 Wikipedia mentions (English). It’s Miles’ World and we’re just living in it. 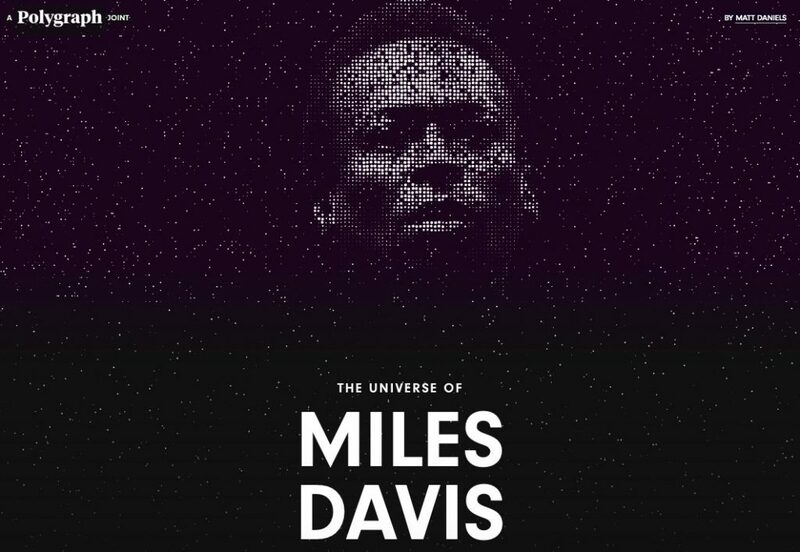 Through this visually striking interactive site we descend down a digital rabbit hole of recordings, people, and places that traces a through line of Miles’ relevance from the early twentieth-century to today. If Mr. Davis were alive today we are certain he would approve. Happy Birthday Miles!